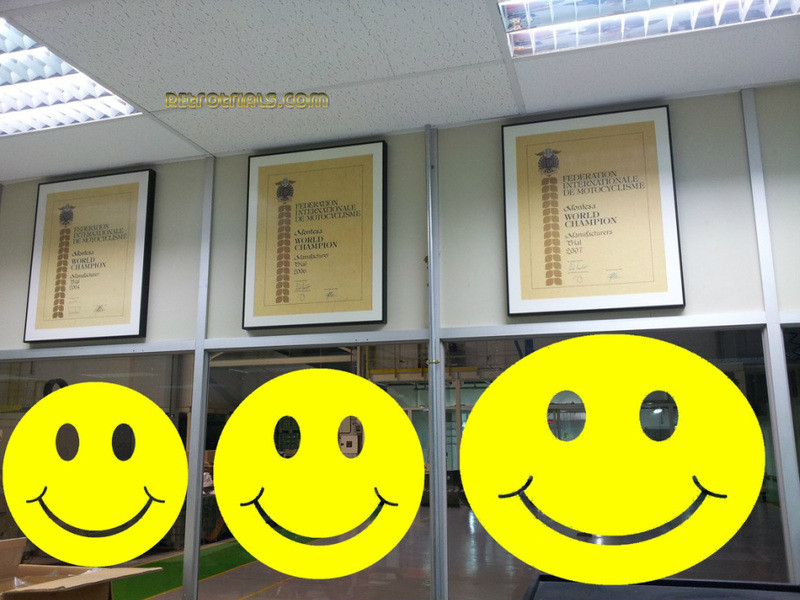 These are the FIM World Championship winning certificates that are given to the winning manufacturers at the end of the year at the big FIM party and gala. 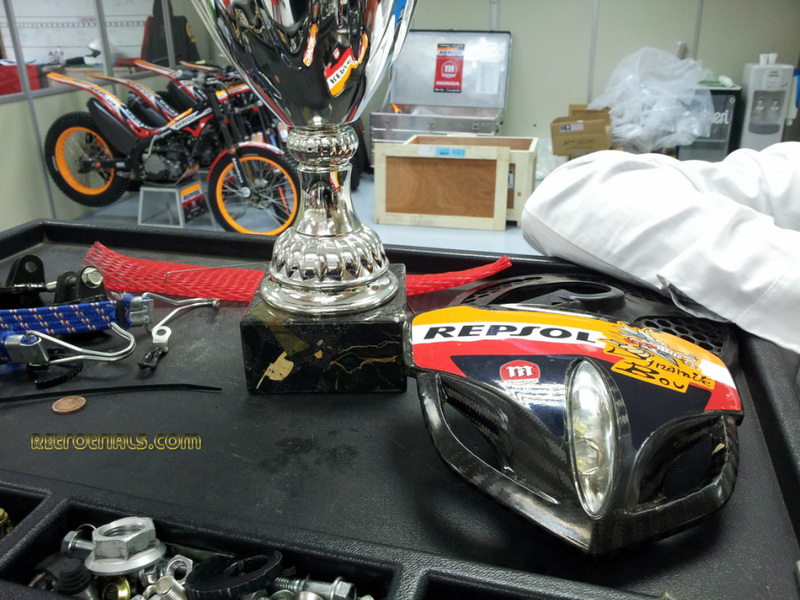 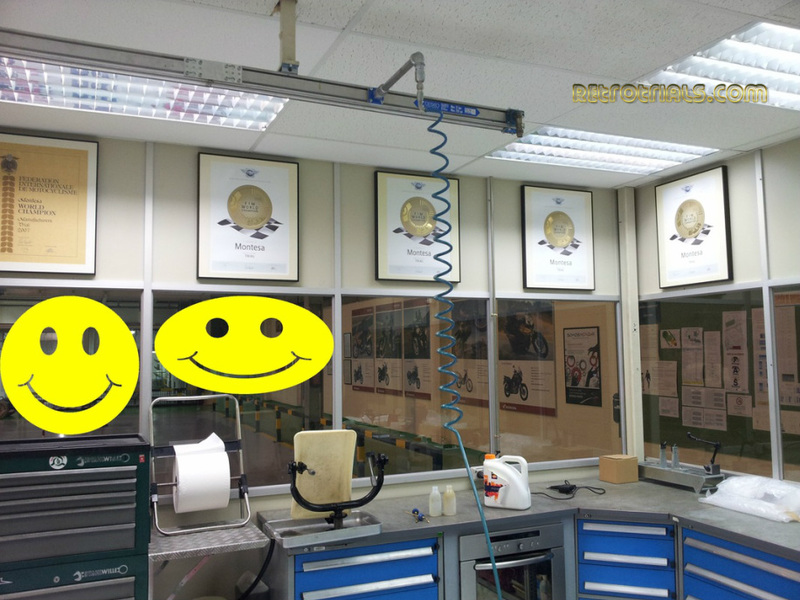 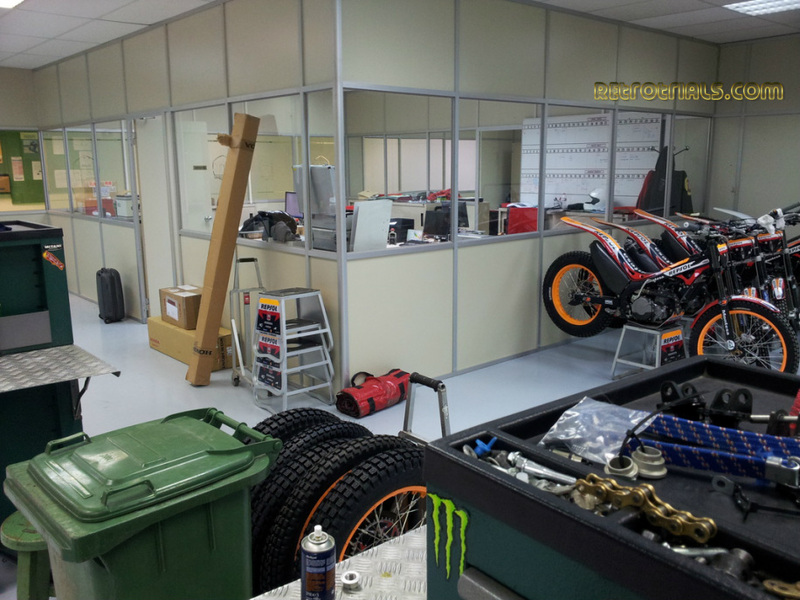 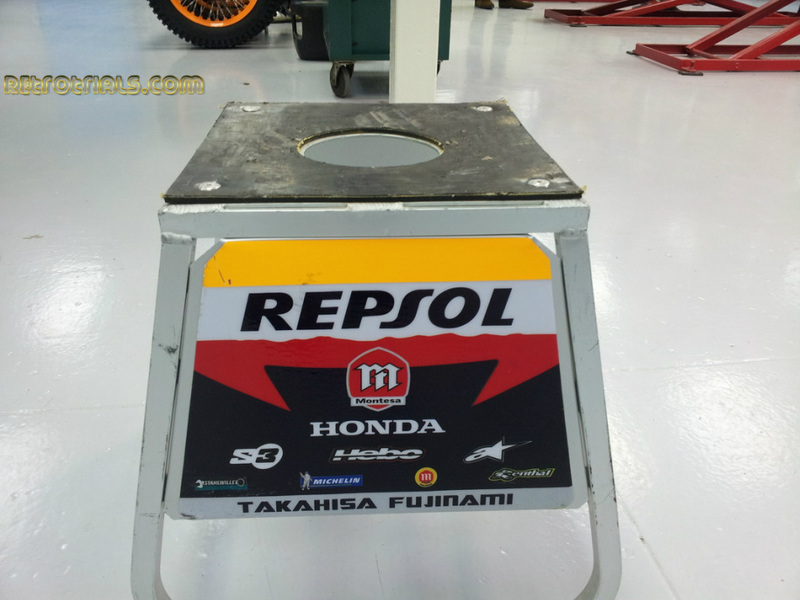 Some of the special Bou Alpinestar boots are kept here. 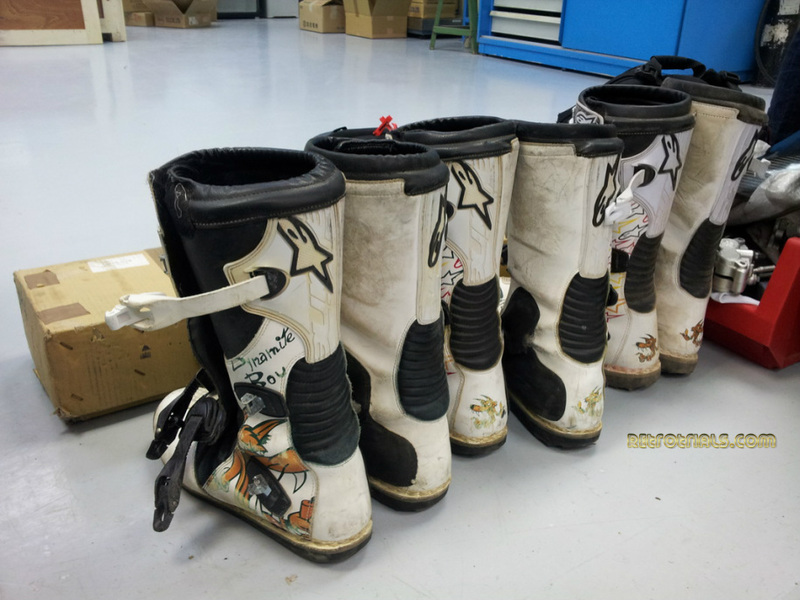 Alpinestar has always made special boots for its works riders.